I was keen to see this film having had an interest in the American Civil War for a number of years. I am a fan of Ken Burns excellent film ‘The Civil War’ (I am aware it is rather pro-Union) and was lucky enough to visit the battlefields of Gettysburg in 2003. Unfortunately for me however the Civil War is simply something going on in the background and although frequently mentioned it does not receive the ‘Saving Private Ryan’ treatment. The two exceptions are the opening sequence where we see close quarters fighting during the lesser known Battle of Jenkins’ Ferry and near the end of the movie where Lincoln surveys the aftermath of the Siege of Petersburg. 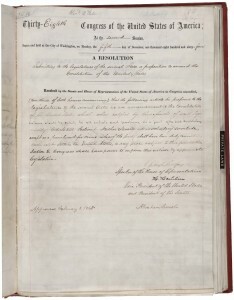 The movie relies heavily on dialogue and is ultimately a film about the legal and political process of passing an amendment to the Constitution. It is however a Hollywood drama so as you can imagine the movie is engineered to contain certain measures of drama, suspense, emotion and tragedy. This is to be expected and regardless of the subjective nature of history most movies only exists to make money at the box office and the best way to do this is to appeal to the widest audience. 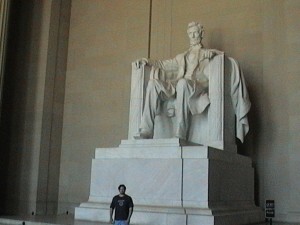 This is where Lincoln has fallen foul with a number of history critics. Is Lincoln historically accurate? Well in terms of the sequence of events and the ultimate outcome of the movie, the answer is yes. The screenwriters admitted that although it is documented that certain meetings and events took place, what was actually said is often not known so the screenwriters were allowed a certain amount of liberty to invent the dialogue. This liberty is evident in a few areas, for example is was rumoured at the time that Thaddeus Stevens had a sexual relationship with his African-American Housekeeper Lydia Hamilton Smith. This however was never proven but Spielberg decides to show Stevens and Smith sharing a bed. Lincoln and his Secretary of State William Seward are seen to employ lobbyists to bribe reluctant Democrats to vote for the amendment. Again historical records, as you can imagine, do not make much reference to this although it almost certainly happened to some degree. 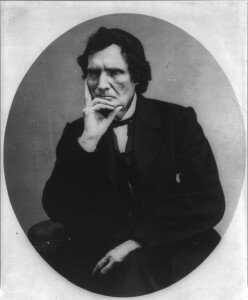 Seward certainly organised a lobbying group with William Bilbo but Bilbo’s methods and how successful he was is unknown. 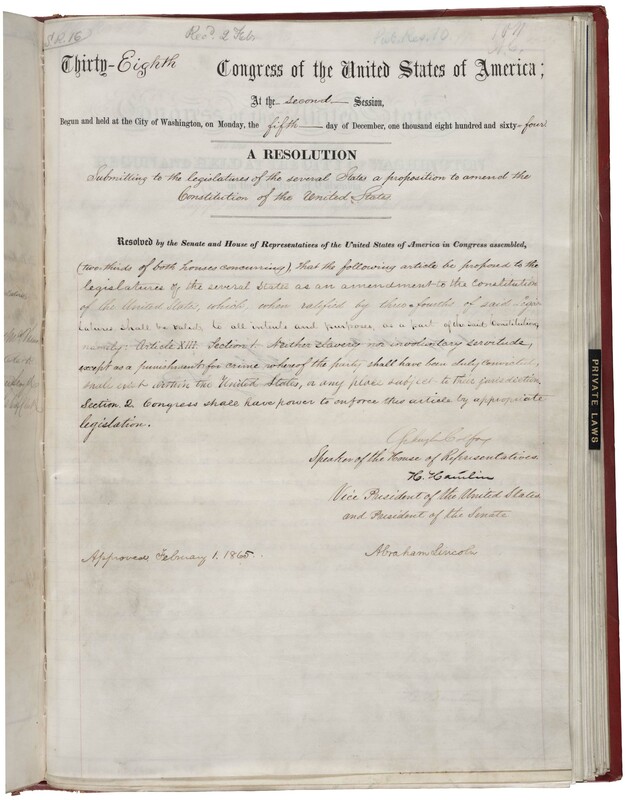 Perhaps the biggest inaccuracy (and where the film has come in for the most criticism) is the final vote in the House of Representatives on the 13th amendment. The voting order is changed to be more dramatic and even some of the votes were changed to emphasis the closeness of the vote. In the movie two of the four state of Connecticut’s representatives vote against the amendment where as in reality all four voted for the amendment. This has angered Connecticut’s current representative Joe Courtney. I think Kushner has a point and history critics should bear this in mind when nit picking at the movie. It was reported in the news recently however that the production company behind Lincoln plans to make available a DVD of the movie to every Middle and High School in America. It is important in this instance that Kushner’s words are repeated and that the movie is not presented as absolute fact to every school child in America. This entry was posted in American Civil War, American History, Slavery and tagged 13th amendment, American Civil War, Battle of Jenkins’ Ferry, Constitution, Democrats, Gettysburg, House of Representatives, Lincoln, Lydia Hamilton Smith, Siege of Petersburg, slavery, Thaddeus Stevens, William Bilbo, William Seward by SliceOfHistory. Bookmark the permalink. The movie got many facts spot on. The story of the American in England (whether the story itself is true or no) was a favourite of Lincoln and he often told it!